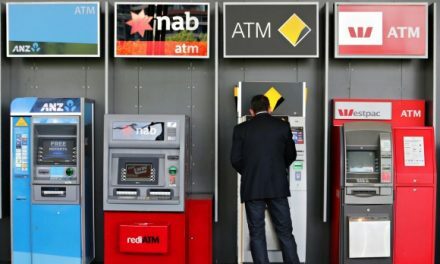 The biggest taxpayer in Australia is Commonwealth Bank, which showered the national coffers with an humongous $9.3 billion over three years. Between them, the Big Four banks recorded $31 billion in tax payable. These are not the “best” taxpayers. That prize goes to Platinum Asset Management, followed by the ASX and Magellan – as revealed yesterday in the Top 40 Tax Heroes chart which is calculated on tax paid per dollar of income. But they are the biggest taxpayers, thanks to the sheer size of their income. It is a perverse truth, perhaps unpalatable for many, that the profits arising from the systemic corruption by the banks and AMP on display at the Royal Commission, has delivered a boost to the budget. It is also ironic that, despite noisy calls by the business lobby for a cut in the tax rate from 30 per cent to 20 per cent, none of the banks actually pays the full statutory rate of 30 per cent anyway. Nonetheless, at least as far as funding public services via their income tax goes, the banks have undeniably, in the parlance of footy commentary, “Done good”. As the government struggles to get its corporate tax cuts package through parliament it is worth noting that, although the banks are the biggest taxpayers in the country by sector, they are also underpinned by taxpayers. The question should therefore be asked, why should taxpayers present them with the gift of a 16 per cent cut in the tax rate (30 per cent to 25 per cent is not a 5 per cent cut as often described by tax-cut proponents) when they are so fabulously profitable, protected by sovereign guarantee and so often engaged in criminal behaviour? 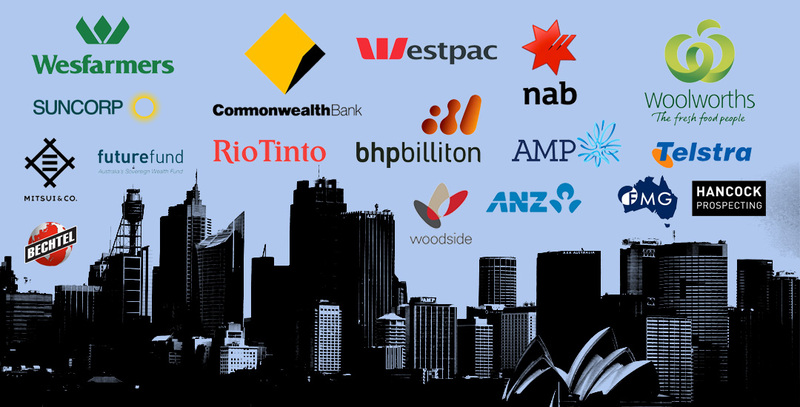 Arguably, Wesfarmers (Coles) and Woolworths – although ranking below the banks and the two biggest mining companies at #8 and #9 are better taxpayers. If you look at their profit margins of 5.2 per cent and 5.5 per cent respectively and then look at the profitability of the banks, whose margins are roughly five times fatter, it is clear that the supermarket duo is in a far tougher environment in terms of logistics, costs and competition. There is a huge difference between making 5c and 27c for every dollar of revenue. The supermarkets are by far the two biggest companies in terms of total income. An element of “social licence to operate” also shines through in these rankings. You see it in the good-tax-paying by the banks and by the two top Australian miners but also in the tobacco companies, Philip Morris and BAT which – if state excises and licence fees were included would rank near the top. In any case, there is a stark behavioural contrast between the companies on these rankings and the Top 40 Tax Dodgers chart where the typical approach to paying tax is “offshoring profits and onshoring costs”. The disparities also shine through at the entity level where we find domestic oil and gas player Woodside at #12 on Top Taxpayers whereas, thanks to their massive loans to related parties offshore, US oil majors Exxon and Chevron pay no tax. The heavy-hitters chart also shows the challenges which relentlessly confront the Tax Office. Although BHP and Rio rank at #4 and #5 respectively – paying $14 billion between them over the three years – they are perennially on the hunt for avoidance schemes. And because they are so big, this counts. In May 2015, BHP admitted to the Senate committee inquiry on corporate tax avoidance that it had overstated its tax paid for 2014 by $800 million. Both the resources majors and our #1 on the Tax Dodgers chart, Glencore, have been investigated for their Singapore “marketing hubs” – offshore entities designed to buy commodities on the cheap from Australia before jacking the price up for the final buyers. The contrasts are everywhere within sectors. While Crown Resorts sneaks in at #40 on the top taxpayers list, William Hill and a slather of foreign bookmakers are aggressive tax dodgers. AGL is on the heavy-hitters list but EnergyAustralia is #2 on Tax Dodgers and BG #25. In cars, Toyota is good but Holden and Ford pay no tax. 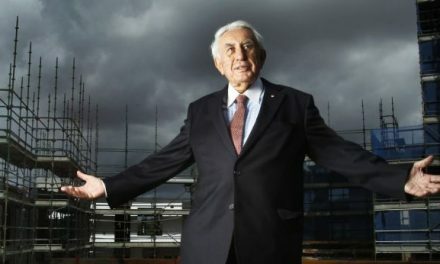 In infrastructure CIMIC (the old Leighton Holdings makes the top taxpayers list while Broadspectrum, which ran offshore detention camps for government, ranks #15 on Tax Dodgers. Conspicuously absent from the top taxpayers chart is Australia’s biggest brewer SAB Miller. Apparently SAB can’t make a profit, and therefore pay any tax, even though it sells reservoirs of beer to Australians. Although the amount of tax they pay is high, very few of this Top 40 actually pay the full statutory rate of 30 per cent. Macquarie averaged 18 per cent over the three years, AMP 9.5 per cent and National Australia Bank 20 per cent. Thanks to Martin Lowry and to another contacts who prefer not to be named for their invaluable work in sorting the Tax Office data and advising on methodology.